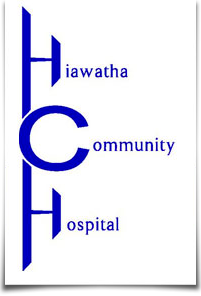 Thank you for choosing the Hiawatha Community Hospital for your medical needs. Every person receiving care is given the same rights and is treated with the same high level of respect and dignity regardless of ability to pay. If you are a patient who has an appointment with one of our outpatient specialty physicians you MUST check in at registration each time you are seen. This is required so we are able to verify your personal information is correct and so we have an up to date insurance card available for you. We also like to remind patients to carry a current medication list. Our regular office hours are Monday-Friday 8:00-5:00pm. Below you will find helpful information in regards to Health Insurance, Work Comp/Motor Vehicle Accidents and our Financial Assistance Policy. Click one of the options below to find out more.